Select the files to delete from the list of files in the Send menu, then go to list Edit Menu > Delete in the lower right corner to delete the files. 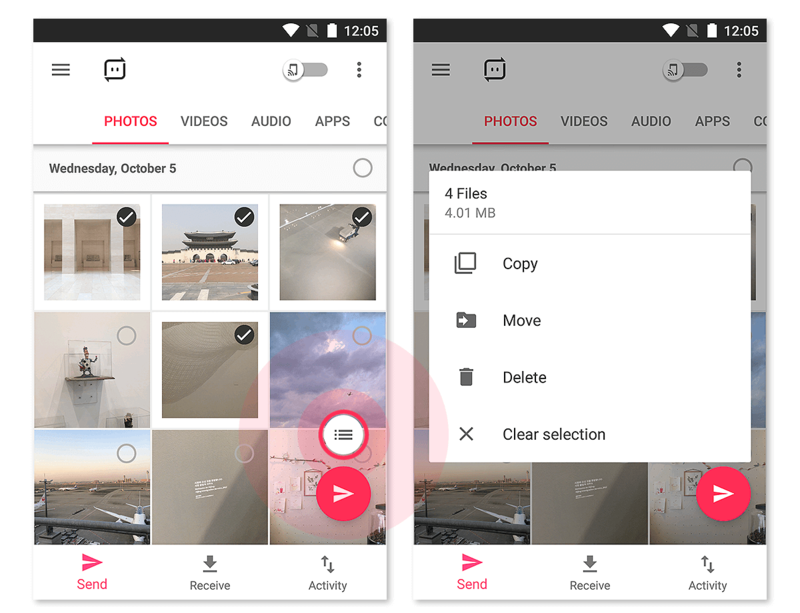 Deleting files from Send Anywhere app will also delete them from your device. Once deleted, the files cannot be recovered so be careful.